Please call or email us about our MOQ. Do you offer prepaid freight? A: Syston cable will cover prepaid freight on purchases over $2,500 (excluding Alaska & Hawaii). Who is your marketing channel? A: Syston cable only caters to distributors & manufacturers. A: Our minimum order quantity is $1,000 for cable only purchase (this does not include taxes or freight cost). A: Unless specific payment terms are assigned we accept Visa, MasterCard, as well as Bank certified checks and electronic bank transfers. What is your technical support like? A: We will answer questions regarding cable selection, installation techniques and field test procedures by emailing us at info@systoncable.com or calling at 844-606-8787. Depending on the cable type, we offer Pull Box, Plastic Spool, Wood Reel, Reel-in-a-Box and speed bags etc. Are all Syston Cable Technology cables made in China? Yes. All Syston Cable Technology cables are manufactured at the Huzhou, China facility. But most of the key raw materials, like insulation and jacket compound are made in the U.S. or Japan. What is the difference between verified, compliant and listed? These terms are often used to describe cables. What do they mean? A: Verified refers to the electrical performance of a cable. It is often proceeded by the term "third party". It means the cable was tested by someone other than the manufacture and they verify it meets a particular level of performance. However, the "third party" verification is only as good as the third party verifying it. UL or ETL for example, both are the leaders in product verification. Compliant, as it relates to electrical performance, means that a product has been tested by the manufacturer and that they have found it to meet the requirements of a particular standard. Listed refers to the physical attributes of a cable. This is a requirement of National Electrical Code (NEC). Cables must have the appropriate listing, such as CMR/ Riser or CMP/ Plenum, in order to be installed in a particular environment. 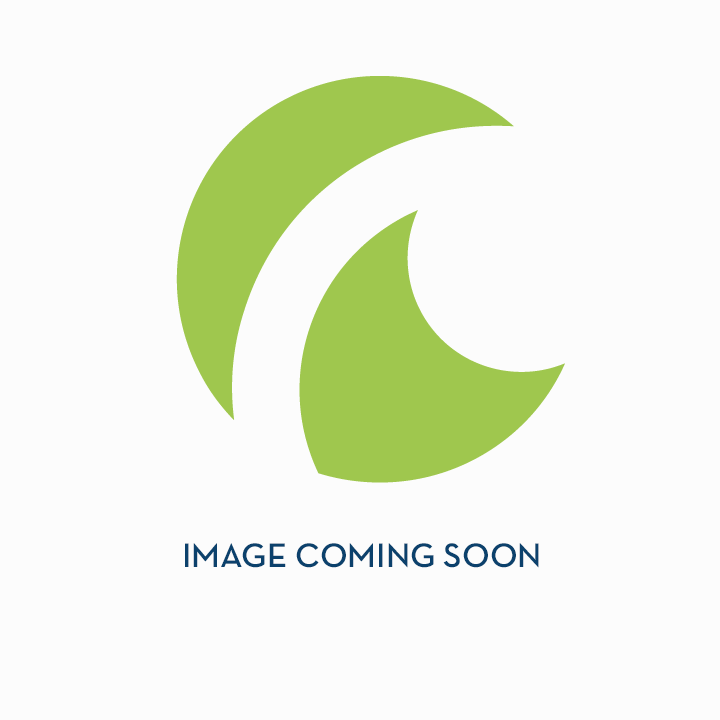 Listings are obtained from companies like UL or ETL. Can I mix and match various manufacturer's components and still comply with the standards? A: Yes. TIA standards do not require the use of one manufacturer's products throughout a project. The standards were put in place to ensure all manufacturer's components would work together. Is your wire sunlight/UV resistant? A: Yes, most of our non-plenum wire has UV protection. The amount of wear on the wire over the years depends on the location of the wire. Please refer to our individual part number specification sheets for more information. When I bend a cable, it turns white? Why does it do that and is it bad for the cable? A: Depending on the color of the jacket, when you bend certain cables, it turns the jacket white. This is not a defect, nor will it impact the physical or electrical performance of the cable. 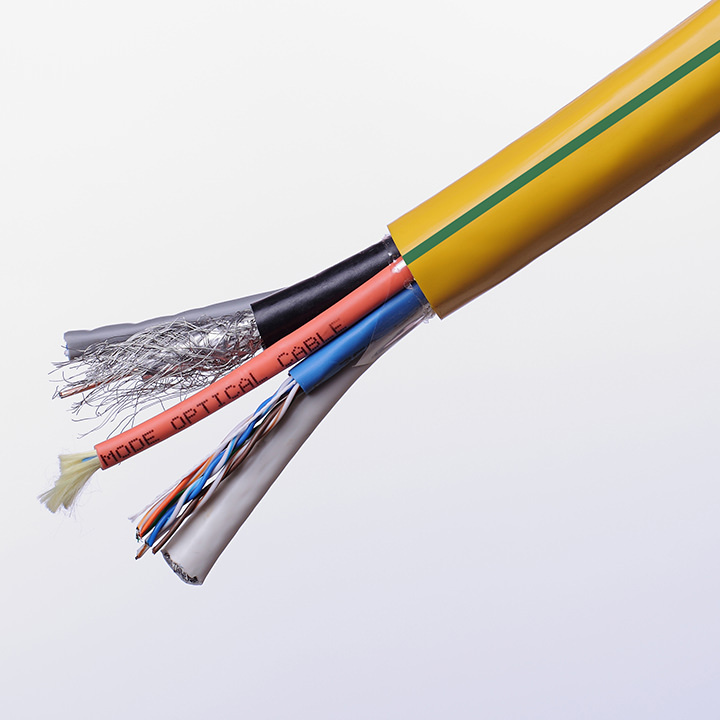 Plenum and riser rated cables typically have PVC jackets. The PVC material used includes color compounds and flame retardant materials. When you bend the cable, you displace the color molecules and expose the flame retardant material, which is white. 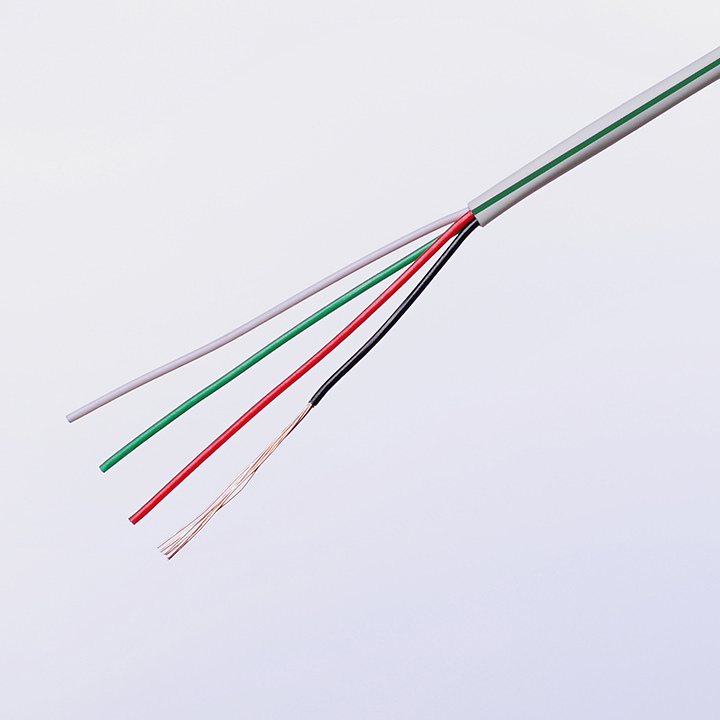 The whitening is more pronounced in plenum rated cables because that jacket material has more flame retardant in it than the riser rated versions. 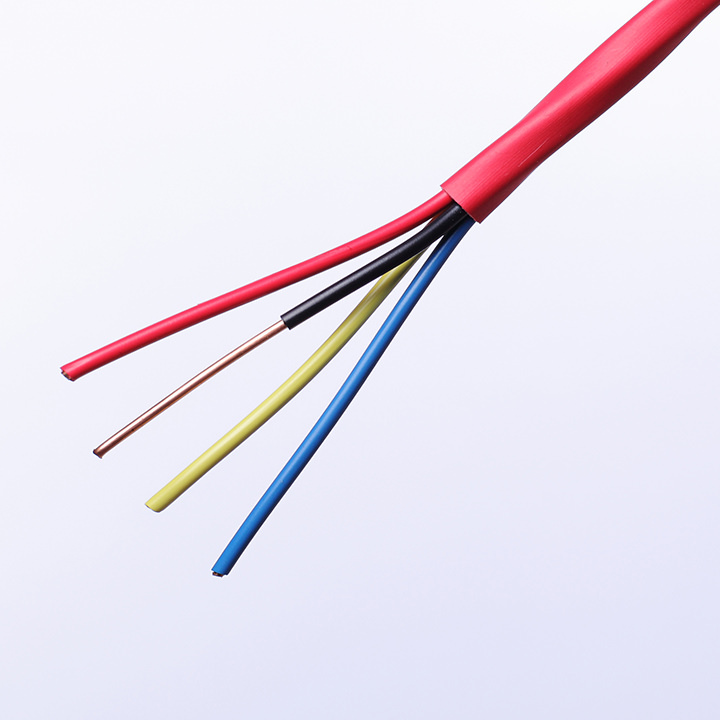 If you were to bend a plenum rated cable and see little or no whitening of the jacket, you should verify that the cable has, in fact, passed UL-910 flammability test required for a plenum rating. Is there such a thing as counterfeit cable? A: Yes, there is. Unfortunately, just like compact disks and watches, there is counterfeiting going on. Counterfeit cable is being manufactured at facilities around the world. 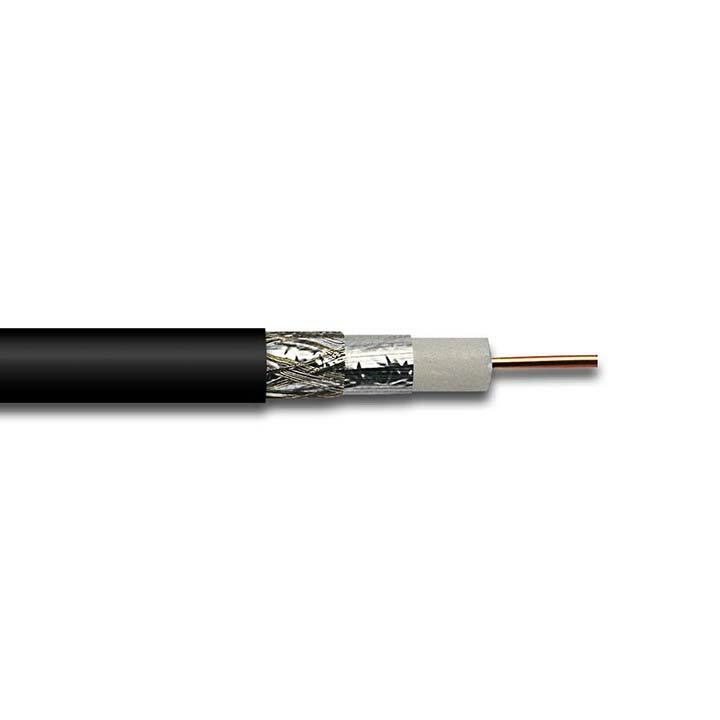 This type of cable has found its way to the U.S. disguised as product from well know manufacturers, this cable may have inferior electrical characteristics. Also, it will most likely be made of inferior materials and will not pass flammability tests required by National Electrical Code (NEC). In the event of a fire, counterfeit cable may not perform as National Electrical Code (NEC) requires it to. In the event of a fire, the liability implications for installing non-compliant cable could be significant. To help ensure only genuine Syston product is on the market, Syston utilizes Third Party Listed Sticker on its packages. These stickers identify SCT as the origin of a box of cable. This also allows our customers and their customers to be confident that they have purchased and are installing genuine Syston cable. Does CMP (plenum) rated cable have PVC in it? A: Yes. 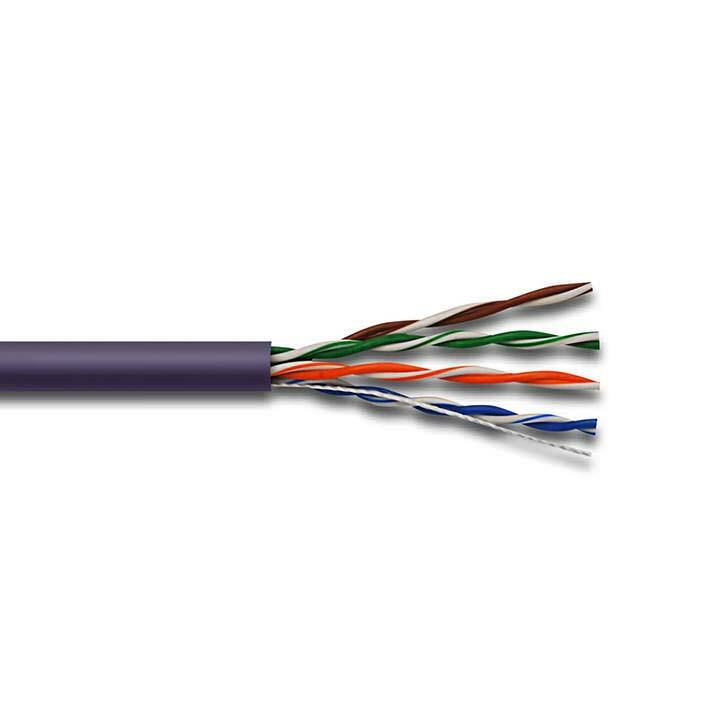 Unless explicitly noted, CMP rated cables utilize a PVC jacket, similar to that of a CMR (riser) rated cable. 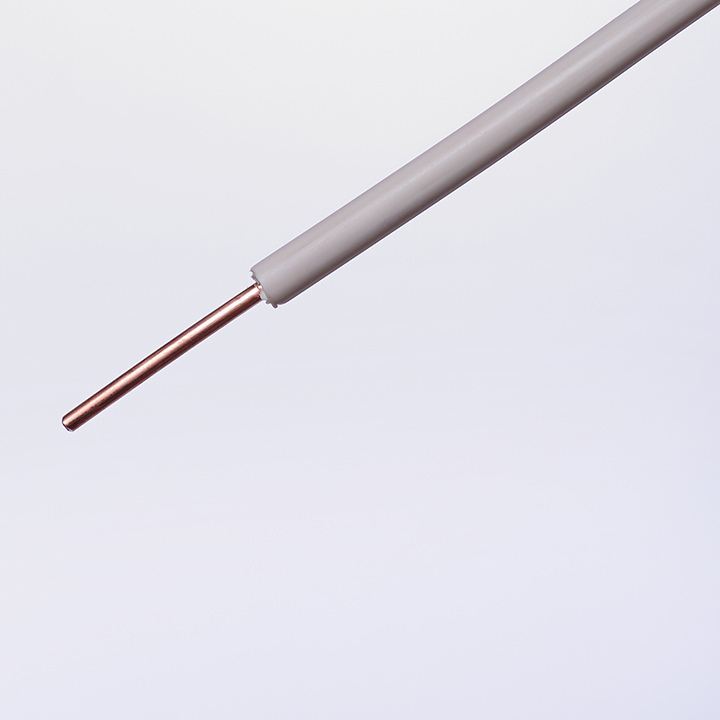 The CMP rated cable will have more flame retardant in the PVC. 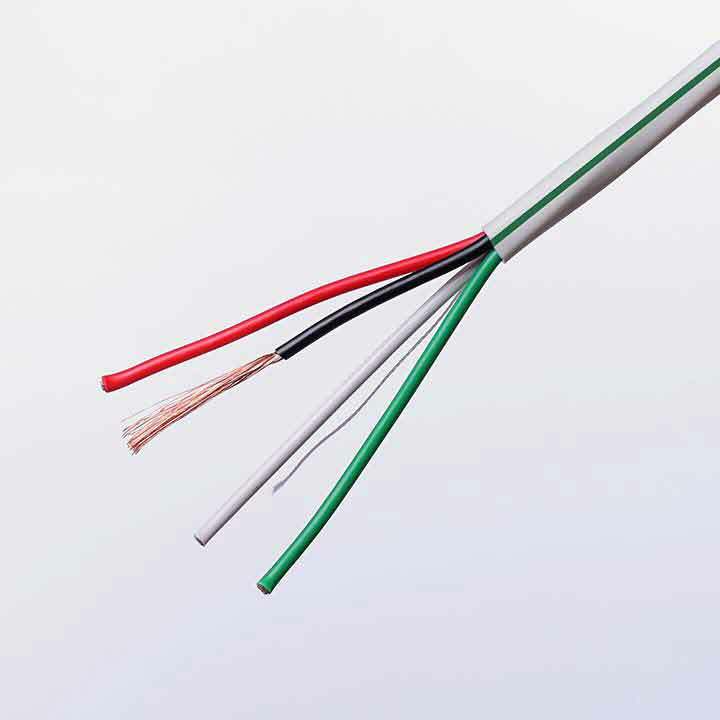 The CMP rated cable will also utilize different materials for the insulation that will assist it in passing the more rigorous plenum flammability test required by U.S. National Electrical Code. Sometimes people refer to CMR cable as PVC. Since both CMP and CMR cables utilize a PVC jacket, it is important when purchasing the cable to clarify which cable you want. A: HDBaseT is a technology that connects entertainment systems and devices and allows the transmission of video, audio, Ethernet, control and power from one device to another on a single category 5e or 6 cable. Can you show me the hierarchy of National Electrical Code (NEC) and UL and CSA flame ratings? see Syston Cable Technology Corp NEC - CSA Flame Test Ratings. A: A Nationally Recognized Testing Laboratory (NRTL) is an independent laboratory recognized by the Occupational Safety and Health Administration (OSHA) to test products to the specifications of applicable product safety standards such as those from Underwriters Laboratories (UL) and other standards writing bodies. An NRTL’s function is to provide an independent evaluation, testing and certification of any electrically operated or gas- and oil-fired product. Are manufacturers required to use UL for their compliance testing? A: No. In fact, this misconception has misled many to believe that they do not have a choice in third-party testing partners. The only major requirement is that the laboratory performing the testing is an OSHA-recognized NRTL. The ETL Listed Mark serves as an indicator of compliance with applicable product safety standards. Do local Inspectors know the ETL Listed Mark? And how long has the ETL Listed Mark been around? A: Yes. The ETL Listed Mark is recognized by local inspectors and Authorities Having Jurisdiction (AHJs) throughout North America and also in some areas of South America. The ETL Listed Mark is an accepted alternative to UL and, as such, inspectors and AHJs recognize, acknowledge, and accept the mark as proof of product compliance.“ETL” has been around for over 100 years. In fact, the original Electrical Testing Labs (ETL) was founded by Thomas Edison in 1896. A. RoHS stands for the Restriction of Hazardous Substances. Also known as Directive 2011/65/EU, RoHS was established in the European Union (EU) to limit the use of certain hazardous materials found in electronic and electrical equipment (EEE). There are six hazardous materials that are restricted in accordance to RoHS and each of the materials can harm the environment, pollute landfills and are dangerous to those exposed to the materials during manufacturing and recycling. Syston is committed to provide 100% RoHS compliant materials for all types of cables. A. The NEC (National Electrical Code) is a highly regarded handbook resource considered the most comprehensive document on electrical safety. The NEC explains current code requirements and discusses pertinent code changes. Articles of the NEC are specific to certain wire applications. What is Article 725 of the NEC for? A. The scope of this article includes such systems/circuits for burglar alarms, access control, audio, nurse calls, and intercoms. It can also include some computer network systems, some control circuits for lighting dimmer systems, and some low voltage control circuits that originate from listed appliance or from listed computer equipment. What is Article 760 of the NEC for? A: Article 760 pertains to fire cables used for fire alarms. What is Article 800 of the NEC for? A: Article 800 pertains to communication circuits, voice, and data cables used for communication of video, data, or voice. What is Article 820 of the NEC for? A: Article 820 pertains to coax cable used for community antenna television (CATV). What do the abbreviations CM, CL2, CL3, FPL, MP, PLTC, and CATV stand for? A: CM stands for Communication wire and cables. CL2 and CL3 stand for Class 2 and Class 3 (respectively) remote-control, signaling, and power-limited cables. FPL stands for power-limited fire alarm cables. MP stands for multipurpose cables. PLTC stands for power-limited tray cable. CATV stands for Community Antenna Television Cable. What does Riser rated cable mean? A: Riser rated cable is required for jobs where cable is going to be run vertically up multistory buildings in floor to floor wiring riser. 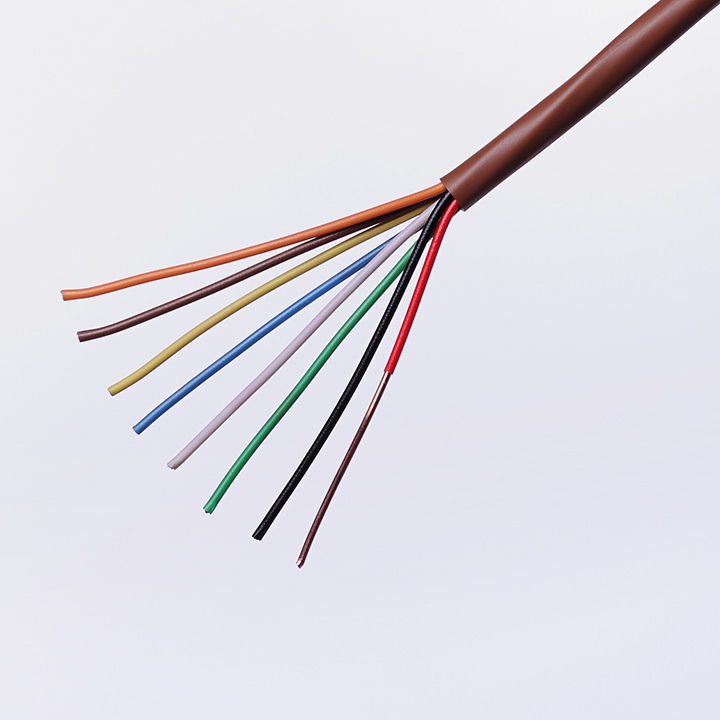 What does Plenum rated cable mean? A: Plenum rated cable is required for jobs where cable is going to be run in return air space. In most buildings this area is above drop ceilings or under raised floors. The materials required to pass plenum standards are much more expensive than non-plenum-rated designs. Always make sure that your application truly needs a plenum cable to ensure you are purchasing the most cost effective solution. We have seen many cases where plenum was used, but was not necessary. Product development, manufacturing and quality control is our passion. Custom branded wires and cables specific to your company's look and feel.